As a born and bred Aussie, and somebody that his lived in Melbourne all of my life, it gives me an immense sense of pride when a hometown band starts getting some world-wide interest. 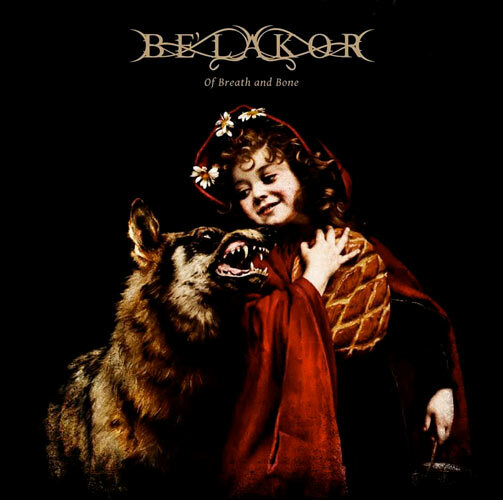 Ever since the rest of the world discovered Melbourne Melodic Death Metal group BE’LAKOR they have gathered the kind of respect and interest that any band would wish for. Their previous album STONE’S REACH was a brilliant piece of work that is to this day classed as one of the benchmark releases in the genre. As well as the listeners heralding STONE’S REACH as a masterpiece it also o gathered much critical acclaim, averaging a 9/10 review score across internet and print. Due to this, their latest album OF BREATH AND BONE is one of the most hotly anticipated releases of 2012 and one of the most awaited and desired albums the Melodeath genre has ever had, a very fine feat really, but that’s a massive amount of pressure on a band that are still relatively early in their career. And wouldn’t you know it, these magnificent bastards were actually up to the task! For me personally OF BREATH AND BONE didn’t have quite the same impact as STONE’S REACH, but that doesn’t mean it’s not still a top-shelf piece of work. In certain aspects this new album does share some similarities to its predecessor and almost feels like it could be classed as STONE’S REACH PT. 2. So on one hand you could class that as a slight negative, but really, on the other hand there’s nothing wrong with a little bit more of something that is so bloody good to start with. The bands trademark Progressive and dark sound is in full swing here and while there is enough accessibility and melodic goodness available here to please even the most demanding fans of the genre, it’s actually the progressive and moody aspects of the album that make it that little bit more special than most releases in the genre. BE’LAKOR do the basics very, very well and give themselves a strong backbone to build from. It’s a very riff oriented album too, with certain songs just throwing out riff after riff, but somehow the band manage to stick them all together and create soundscapes that are structured to a degree but always keep the listener wondering what’s going to happen next. Even during the eight minute running time of opening track ABEYANCE, the band show that they are a cut above most bands in the Melodeath game these days. This song alone has about four separate sections, each one offering up something different and each one as good as the last. REMNANTS is brilliant too, and maybe even the high-point of the album, it has a dark gothic tone and features some crazy guitar work throughout. FRAUGHT follows the mood set by the previous track but this one goes a little bit deeper into the progressive territory. ABSIT OMEN once again is a ripper of a track that has an epic almost operatic feel to it and gee-whiz, the riffs here are once again just awesome. TO STIR THE SEA is a quick little acoustic interlude that’s nothing special in itself, but it does do a really good job of breaking up the album and getting you prepared for the last three epic tracks that all sit at around the nine minute mark each. The last three tracks IN PARTING, THE DREAMING AND THE WAKING and BY MOON AND STAR actually work well as a sort of suite as they all share a similar doomy vibe that really brings the emotive and dark side of the band’s sound out to the forefront. While OF BREATH AND BONE may not quite be as breathtaking as STONE’S REACH, it’s still easily the best Melodic Death Metal album of the year and yet another album that should be considered as among the best the genre has seen. Obviously bands like IN FLAMES and AT THE GATES will be forever classed as gods of the genre, after three stellar albums there’s no reason that BE’LAKOR shouldn’t be looked at as at least equals, they’re certainly by far the most exciting band the genre has at the moment. BUY THIS ONE NOW!! !